Is your family following the Paleo Diet? Families around the world are using the Paleo diet to meet and exceed their health goals. Whether you’re looking to lose weight, get fit, or mitigate chronic illness, the Paleo template hones in on nutrient-dense, anti-inflammatory foots that support health. Families have unique challenges when adopting and following a Paleo diet; and, when it comes to our and our kids’ birthday, it can be particularly challenging to balancing competing priorities! We want to provide an awesome and memorable party experience with great indulgent food but without derailing the family’s diets or hopping up an entire roomful of kids on sugar and food dyes. The good news is that it is absolutely possible to successfully walk this line! We CAN throw a fantastic party where everyone has fun and everyone enjoys some good food (no matter what their diets are at home). And The Paleo Birthday Party Handbook will show you how! 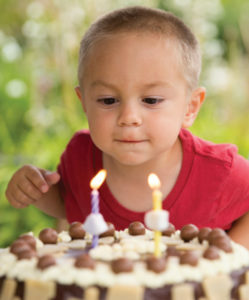 For your or your child’s next birthday, plan a 100% Paleo party that everyone will love – without stress and without breaking the bank. The Paleo Birthday Party Handbook is a comprehensive guide that will help you figure out all the party details-from theme to location to goodie bags-including a comprehensive party game guide, party planning worksheet, and favorite recipes for snacks, cakes, and cupcakes. Birthdays are a time for celebration! Celebrate your special day will continuing to make progress on your health journey! CELEBRATE YOUR SPECIAL DAY WHILE SUPPORTING YOUR HEALTH!